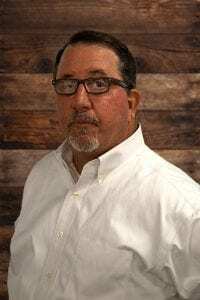 TAMPA-FL, (October 3, 2018) – Eduardo Morrell, Senior Partner at Morrell, P.A. firm, has officially joined McIntyre Thanasides Bringgold Elliott Grimaldi Guito & Matthews, P.A. as of September 1, 2018. Morrell always aspired to be a lawyer and has been practicing law for 30 years. Mr. Morrell founded the Morrell, P.A. firm in 1998. His practice is primarily in the areas of Construction Litigation, Construction Lien Law, Creditors’ Rights, Business Litigation, Commercial Transactions, Corporate Law, Real Estate and Guardianships with an emphasis on representing Contractors, Subcontractors, and Materialmen in Florida’s Construction Industry. Morrell has lectured frequently on the Florida Construction Lien Law and on Agriculture Law. A graduate of the University of South Florida and then Samford University’s Cumberland School of Law, Morrell is happy to be living and working in his hometown of Lakeland. Morrell has some history with the McIntyre name: 25 years ago, Morrell litigated against Rich McIntyre. Ever since then, Morrell has looked to McIntyre for support and insight. Now proudly a part of the McIntyre firm, Morrell looks forward to continuing their relationship and most importantly, helping benefit more clients. Morrell’s office is located at 425 S. Florida Avenue, Suite 101, Lakeland, FL 33801 and he can be reached at (863) 802-8037. McIntyre Thanasides has offices in Tampa, Sarasota, and now Lakeland. For more information, visit www.mcintyrefirm.com.